I try to follow closely the events happening in this "big country" which Bryson eventually left quite a while ago. If you start reading his book (Notes from a big country) you will understand also the why. I am reading the major journals and news portals from East Coast and West Coast, alike, but fortunately I do not have a TV, so I do not have to swallow a lot of "unnecessary" (I saved the more harsh word for myself in order not to hurt feelings among the TV lovers) things which mostly all TV Networks in US are full of. Recently I was reading about the tragic event happened in Ferguson, Mo. I am not able to judge who is right and who is wrong at this point, but I am certainly sure about one thing: somebody died. Young, old, male, female it does not matter, but it does matter that somebody died, and his family is not going to see him/her again. The same scenario happened a few months earlier too, when another young boy, Treyvon Martin was killed by the police. It happens that these boys were black, and this caused a lot of tension. The black minority claims that is because they are treated differently, while the police claims that they were opposing and the killing was necessary or it was self defence. As the events in Ferguson, Mo. escalated -brutal law enforcement actions and rioting and looting, politician from both side of the aisle came forward and made statements including President Obama, Nancy Pelosi and Rand Paul a serving US Senator. The President said that "the local authorities, including the police have a responsibility to be open and transparent about how they investigate that death" which in my understanding has not happened yet. Nancy Pelosi stated that "It should also examine the long standing issues between citizens of Ferguson and their elected officials and local law enforcement. A credible and comprehensive investigation is absolutely necessary to secure the justice for Michael Brown's family and the community." Rand Paul focused more on the ethnic aspect of the conflict, stating that "Anyone who thinks that race does not still, even if inadvertently, skew the application of criminal justice in this country it is just not paying close enough attention". What is the take home message for a European like me? Here in US racism is unfortunately still a serious issue, and apparently they can not deal with it, even though officially everybody denies its existence, and the problem is considered as tabu. I am wondering how such a country, who is segregating its own citizens based on race is lecturing other countries about democracy, and preaching freedom with guns and destruction? P.S. I am still not understanding why these leaders have to emphasise words like "credible and comprehensive investigation" or "responsibility to be open and transparent". I am wondering if these leaders wouldn't ask, it would not happen? If so, the democratic values of this country -- provided by the founding fathers of the nation are in great danger, and definitely it would be hypocrisy to lecture others about human rights, etc. US should deal first with its past related to racism rooting from the colonialism, and the slave era, as well it should speak freely about those Japanese-Americans interned in camps in California after the attack of Imperial Japan of Pearl Harbor in 1942. Once they do that, they can start lecturing others about freedom, democracy, human rights but not before. The notion of democracy is coming from ancient Greeks, and it was refined more and more over the centuries, while nowadays some of us can enjoy it to some extent. 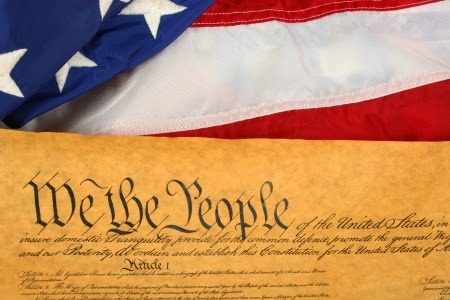 However, I think we went too far away from the main concept, meaning the rule of people, and it is more the rule of law. Laws are necessary to support such a form of government, but it seems the law took over common sense and humanity. In Israel there is war. In the Gaza strip there is war. People die each day. They struggle to survive, but many of them do not make it. They just don't. And what the world is doing? NOTHING! Absolutely nothing. We just watch on television the horror pictures of carbonized bodies lying on the ground, and we count the casualties. On the israeli side thens, on the palestinian side thousand and still counting. It is gonna stop? No. Who is right and who is wrong? Everybody is right and everybody is wrong. Is about a land and the right to live free in peace. Killing for those things will not give you the right to have it. Killing people and war is not a solution. It never was and never will be. Killing will cause more pain, more anger and more hatred. It's just an endless loop with no exit strategy. It is not our war, and we are outsiders, but we should still raise our vice, and say stop for the killings, but shamefully we say nothing. Why? Because we are afraid. Yes, we are afraid of being judged for our thoughts. If you support the palestinians - they are definitely the losers of this war (see the high number of casualties), it does not look good as you will be labeled as nazi, racist, jew hater and enemy of Israel. If you support Israel, a small country struggling from 1948 to survive on a land surrounded by hostile countries you are careless and biased and bought by the jews. Whatever side you pick you will have to face criticism and the law. Instead of taking one's side, we should think about those civilians who die each day, or they might be lucky and survive, and hope the war will be over, and they can restart their lives in peace and harmony. We should raise our voice and say stop for the killings and stop for the war. War was never a solution. 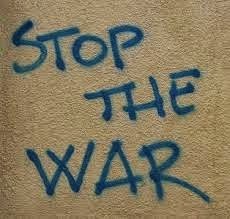 We should not be afraid saying what we think: "STOP THE WAR"!